Heim Málning Crafter´s Akrílmálning 236 ml. Crafter´s Akrílmálning 236 ml. 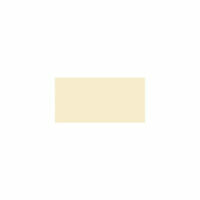 Akrílmálning 236 ml – Antique White – 990 kr. Crafter´s Akrílmálning 236 ml. Akrílmálning 236 ml – Blá 990 kr. Crafter’s Acrylic is a low-cost paint for simple basecoating and craft projects. Designed to brush out smoothly and evenly, it covers in 1 or 2 coats Crafter’s Acrylic is versatile and can be used in general arts and crafts, stenciling, ceramics, school projects, and home decorating. Crafter´s Akrílmálning 236 ml. Akrílmálning 236 ml – Brún 990 kr. Crafter´s Akrílmálning 236 ml. Akrílmálning 236 ml – Græn 990 kr. Crafter´s Akrílmálning 236 ml. Akrílmálning 236 ml – Gul 990 kr. Crafter´s Akrílmálning 236 ml. Akrílmálning 236 ml – Gull 990 kr. Crafter´s Akrílmálning 236 ml. Akrílmálning 236 ml – Rauð 990 kr. Akrílmálning Crafter’s Acrylic is a low-cost paint for simple basecoating and craft projects. 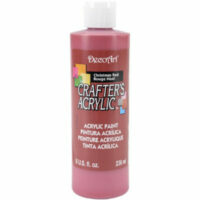 Designed to brush out smoothly and evenly, it covers in 1 or 2 coats Crafter’s Acrylic is versatile and can be used in general arts and crafts, stenciling, ceramics, school projects, and home decorating. Crafter´s Akrílmálning 236 ml. Akrílmálning 236 ml – Svört 990 kr.